Sometimes you want to whip up a breakfast or brunch item that is out of the ordinary. This little guy is layered with big flavor, and it can be prepared in less than 10 minutes! 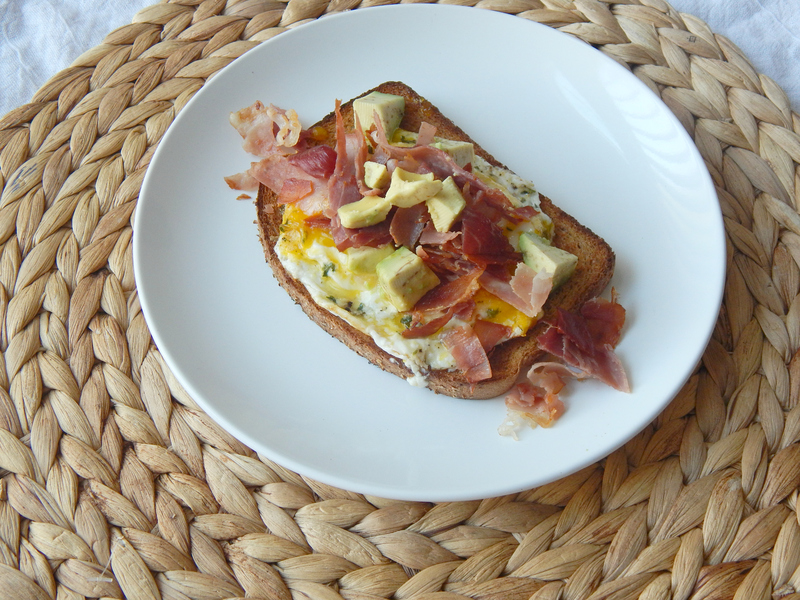 Give your morning toast a makeover with a tasty fried egg, crisp and salty prosciutto and creamy chunks of avocado. I’ve told you guys before that I don’t eat eggs. I just don’t care for them, but I cook them all the time for my husband. 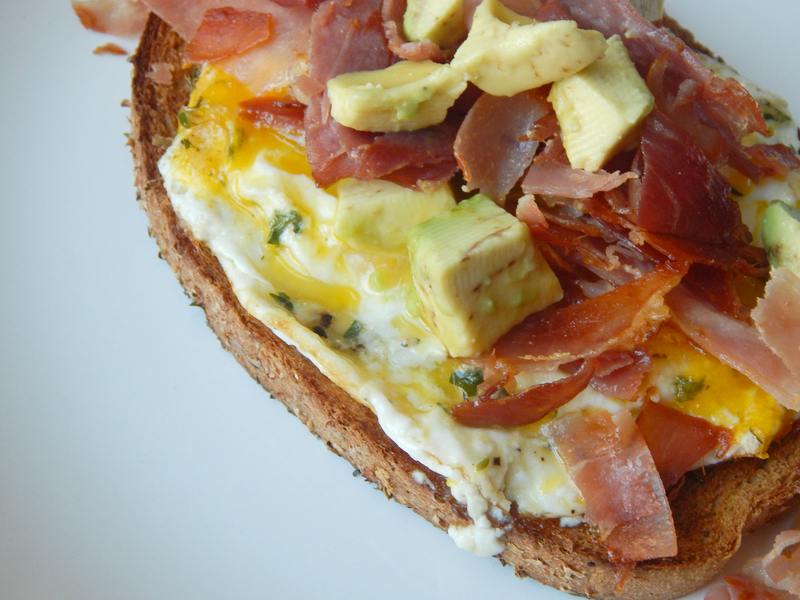 This is a recipe I decided to make him combining some of his favorite ingredients: avocado and prosciutto. I cooked the prosciutto just long enough so that it would start to crisp a little around the edges because that is how Tommy likes it, but you could make it more crispy if you wanted to. Also, if you don’t have prosciutto try substituting strips of bacon or ham. Cook your egg however you like it best, I cooked mine over easy. I cooked this breakfast for Tommy on a random weekday before work, and he loved it! Make your loved ones or yourself feel good with this quick, but special breakfast. 1. Toast the slice of bread to your liking then set it aside on a plate. 2. Heat a medium sized nonstick pan to medium heat. 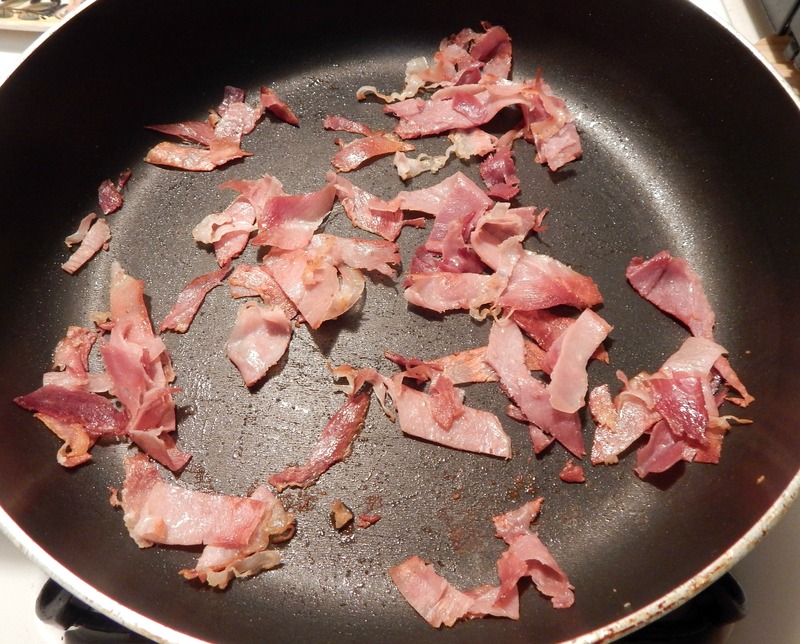 Add prosciutto strips to the pan and cook for 2-3 minutes stirring occasionally. You want to crisp the edges slightly, but not burn the prosciutto. Remove from the pan and set aside when done. 3. Add olive oil to the same pan over medium low heat. Crack your egg into a small bowl then add egg to the pan. Sprinkle the egg with salt, black pepper, granulated garlic and parsley flakes to taste. 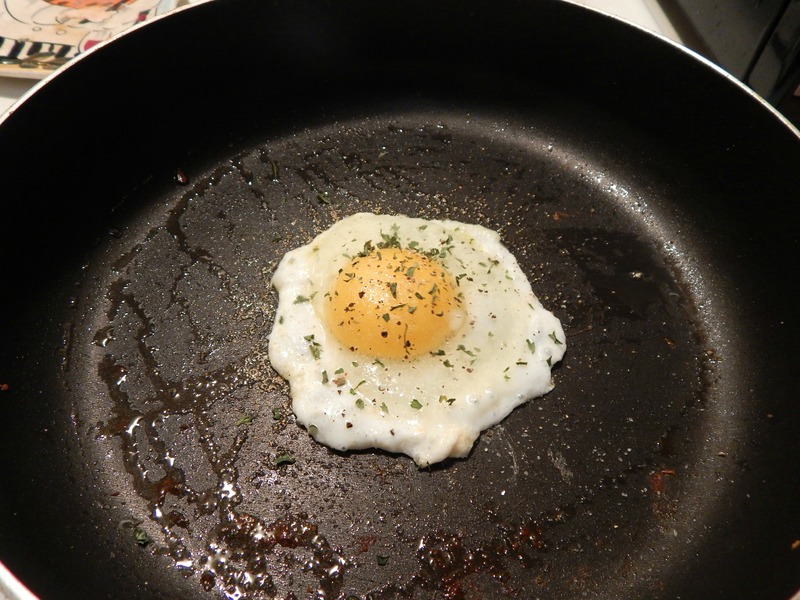 For an over easy style egg cook it on the first side for 1-2 minutes then gently flip the egg using a spatula. Cook the egg on the second side for a minute or less. You want to make sure the egg yolk is still runny. Be sure not to overcook your egg. Remove the egg from the pan and place it on top of your slice of toast. 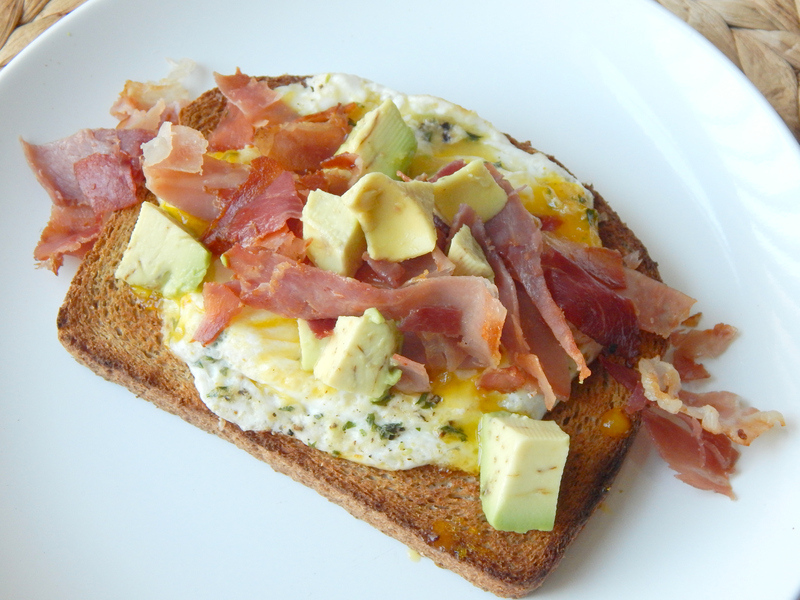 Top the egg with prosciutto and diced avocado. Enjoy! • Cook the egg to your liking. A sunny side up egg would also work well in this recipe. Thank you 🙂 Just wanted to get a little creative with what I had! Thanks! It was a hit in my house, and it was so easy to put together! Oh my god. This is going to be Saturday’s breakfast, thank you.